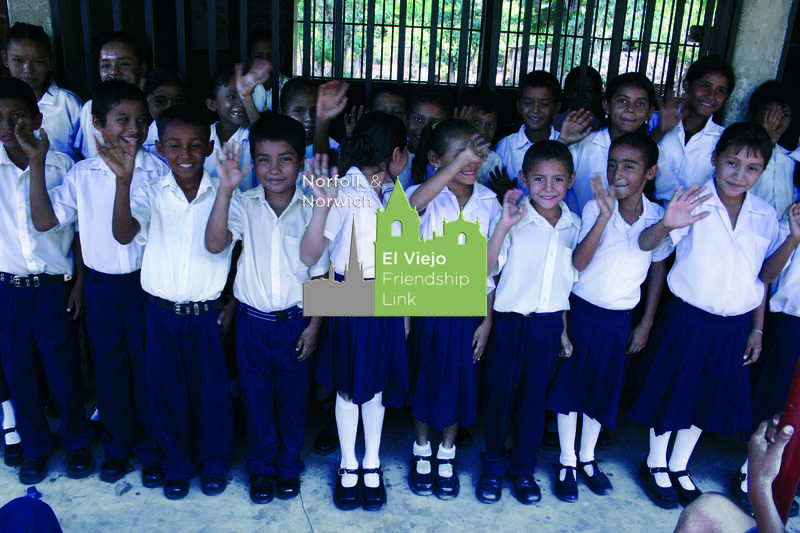 The Norfolk & Norfolk El Viejo Friendship Link was established in 1986 following the popular overthrow of the Somoza dictatorship in Nicaragua which had ruled the country for 30 years. The aim of the Link is to provide friendship and encouragement to a country trying to build up democratic forms of government. The Link is a voluntary, membership-based body open to individuals and organisations. It is democratic and meetings are held each month at City Hall in Norwich. An important development in 1999 was the decision by Norwich City Council to add El Viejo to the existing list of formal civic twinnings, with Rouen in France, Koblenz in Germany, and Novi Sad in Serbia. The Link is recognised as the official organisation for the operation of the civic twinning with El Viejo. The Link is affiliated to the Nicaragua Solidarity Campaign, the national organisation linked to Nicaragua.